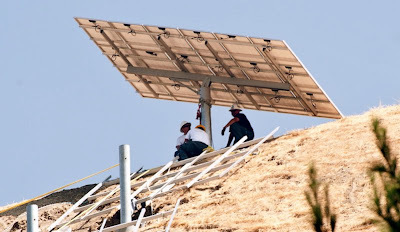 Spectacular images captured by Martha Benedict, a local on the hill, of the first solar panel going up. Those panels are huge! Great shade on a hot sunny day. Think there are two up by now. Mixed emotions. We'll see what happens. Duane Eddy "First Love, First Tears"
Grand Funk Railroad "Gimmie Shelter"
Good to see this is happening. Let them put this solar project in on the hill. 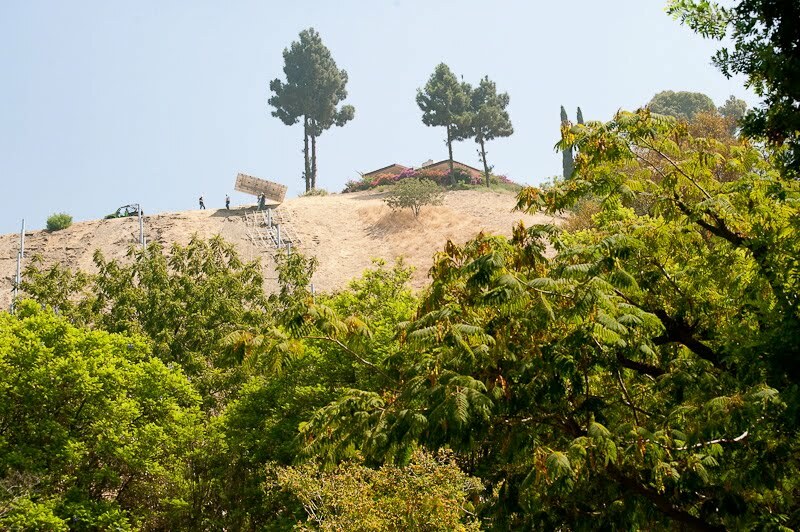 We need more solar not less in this country and I'm happy to see Montecito Heights taking the lead in NELA. This is a good project. Now that I've read the info on the project, it powers 93% of a nursing home. That's it for the entire hillside of panels? Not worth it! Now that this project has been stopped, we all get to look at an even uglier hillside. Halfway done solar panels and metal rods. Yay! I love these babies. I am on the committee to make sure Ed Reyes will never be elected again in this city. It's a crime to have stopped this.